The Delhi Police in January filed a chargesheet against former Jawaharlal Nehru University Students' Union (JNUSU) president Kanhaiya Kumar and others in the sedition case registered in 2016. 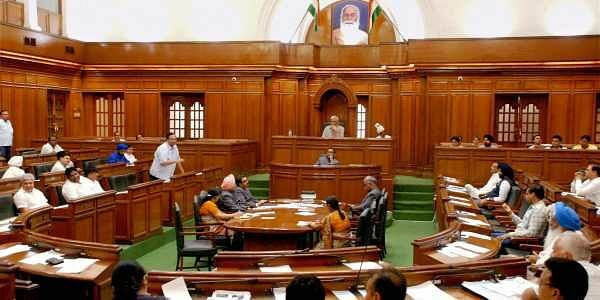 NEW DELHI: AAP's "drama" over grant of full statehood and the delay in granting sanction for prosecution in the JNU sedition case will be highlighted to corner the government during Delhi Assembly's budget session which starts on February 22, BJP leader Vijendra Gupta Thursday said. Gupta, who is also the Leader of Opposition in the House said the BJP will force the Aam Aadmi Party (AAP) government to answer about the delay in granting sanction for prosecution in the JNU sedition case. Delhi Police has sought permission from the city government for prosecution in the case which is still pending. Gupta said BJP legislators will also raise the issue of telephone calls being made to voters to mislead them that their names have been deleted from electoral rolls in Delhi. The "drama" of ruling AAP over full statehood will also be highlighted in the budget session, Gupta said. "This is an excuse by Kejriwal government to avoid answering questions over its failures in past four years," Gupta told reporters. Non-implementation of Ayushman Bharat scheme of central government and issues related with e-PoS system of ration distribution will also be raised by the opposition in the House, he added.